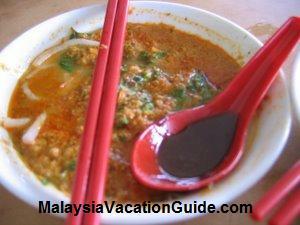 Penang Island is one of the most visited island in Malaysia. Located at the north-west coast of Peninsular Malaysia, itis linked to the mainland by the 13.5 km bridge which was completed in the year 1985. Regular ferry service is also available to transport vehicles or passengers to the island. Known also as the Pearl Of The Orient, this island has an international airport which has direct links to Singapore, Bangkok, Medan, Nagoya, Xiamen and Madras. 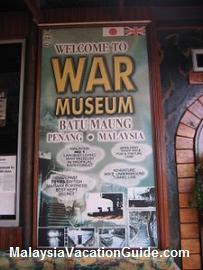 The stretch of Penang Beaches with many international hotels along the beaches of Batu Ferringhi and Tanjung Bungah. 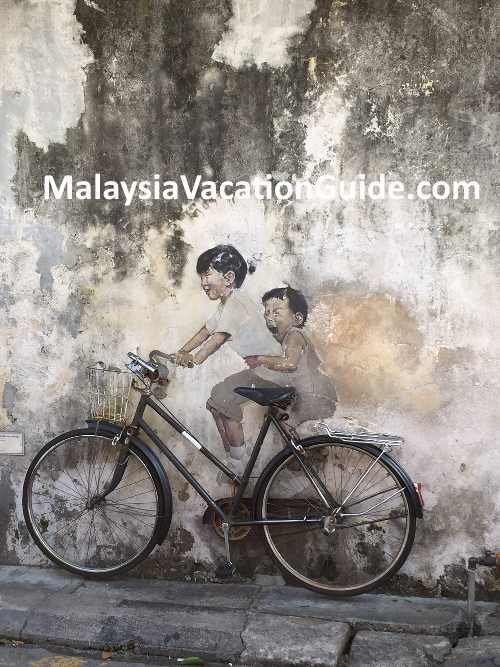 Many visitors come to Penang not just to enjoy the beautiful stretches of golden sand beaches but also its many historical buildings and cultural landmarks, the varieties of food by the various ethnic groups in almost every part of the island and the tranquility of Penang Hill. 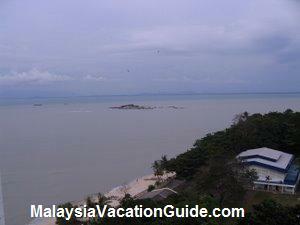 Batu Ferringhi Beach is among the most popular Penang beaches in the island of Penang. It is located along the coastal road north of the island. 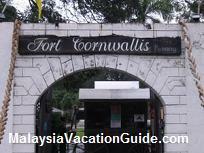 Although the water is not as clear as if you are to go to the other marine parks of the country such as Tioman Island, Redang Island or Tunku Abdul Rahman Park, there are many hotels with good facilities for you to enjoy here. Most of the hotels have their own swimming pools, restaurants, souvenir shops, transport, spa and water sports facilities. Water sports activities that you can do here include the banana boat rides, canoeing and jet-skiing. See the view of the beach from the sky by trying the para-sailing adventure. In the evening, go for the Batu Ferringhi Sidewalk Bazaar where you will be able to buy souvenirs in the open-air bazaar.The busy atmosphere is made more interesting with local artists demonstrating the art of making batik and craft. Remember to bargain for the best price for the items that you have chosen. Teluk Bahang Beach is located to the west of Batu Ferringhi. This beach has more greenery and has a more private and tranquil environment. Besides the attraction of the beautiful beach, visitors can also visit the Forest Recreation Park and Museum to enjoy the flora and fauna of the island. 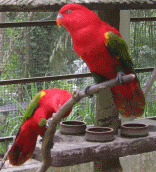 The other attraction is Penang's own butterfly farm known as Teluk Bahang Butterfly Farm where you will be able to see more than 3,000 butterflies in their natural habitat. There is also the Tropical Spice Garden where you will be able to see a collection of more than 500 varieties of flora from around the world. If you are eager for more adventure, head towards Teluk Bahang Fishing Village where you will be able to see the village life of the people here. Enjoy a meal at the Chinese seafood restaurant here. 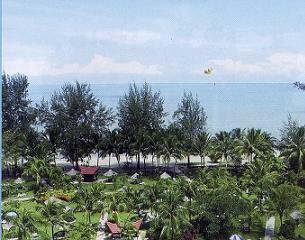 Tanjung Bungah Beach is the nearest beach resort from Georgetown. It too has numerous hotels along its beach such as Sandy Bay Paradise Hotel, Beachcomber Paradise Hotel, Motel Sri Pantai, Novotel Hotel and Crown Prince Hotel. This beach has many secluded coves with overhanging cliffs and gigantic rocks. For those who are into adventure and wanted to get away from the crowd of the popular Penang beaches, head for Monkey Beach whichis located the the west of Teluk Bahang Beach. It is a secluded beach which is an ideal place for a time of quiet picnics under the casuarinas trees. Try climbing the jungle trail from Monkey Beach to Muka Head Lighthouse which is located on a 785 feet cliff. The Kerachut Beach is only accessible by boat or hiking trails from Teluk Bahang. Hence, this beach and its surrounding are still clean. If you are observant, you will be able to see squirrels, monkeys and a many species of birds here. Remember to bring along your binocular and camera. Get a guide to help you if you are not familiar with this place. There are many hotels and resorts of international standards that you can choose to stay along the northern Penang beaches. They are Holiday Inn, The Bayview Beach Resort, Crown Jewel Hotel, Mutiara Beach Resort, Paradise Sandy Bay Hotel, Shangri-La's Golden Sands Resort, Shangri-La's Rasa Sayang Resort and Casuarina Beach Resort. Taking the taxis is the most convenient way to go to the beaches. However, there are also buses that go to this area. The Transit Link(white and red) city buses BUS NO 202 will take you to Batu Ferringhi/Teluk Bahang. The main terminals of the buses are the Pengkalan Weld where the Ferry Terminal is located and the Ground Floor of KOMTAR building. The HIN BUS(white and blue) BUS NO 93 will also take you to Batu Ferringhi/Teluk Bahang.